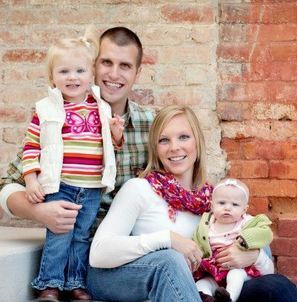 February 6, 2013 By Allyson 3 Comments This post may contain affiliate links. Read my disclosure policy. A couple weeks ago, I went on a girls trip (13 of us!) to Savannah, and I had the pleasure to hang out with my friend, Joy. We were talking about cooking and our families one day, and she mentioned how she makes their bread. Yes, the bread that they use every day for sandwiches, snacks, everything. I told Joy that I have always been intimidated to make real bread (give me some fruit to throw in a loaf and I am fine..but regular, no no no no! ), and she told me that she was intimidated before as well. She told me a heart warming story about learning to bake things (see cookie story below! ), and how it turned out to not be as difficult or intimidating as she thought! I pretty much demanded that Joy write a guest blog post for me as soon as she got back to Utah. She was quick to send this to me and I am really excited to share it with you! This is definitely a recipe I am going to try, because I want to set my fear of bread baking aside, and start making it all the time! If you’re anything like I used to be, you may hear “homemade bread” and run the other direction. Before I went to college I literally did not know you could make cookie dough. I thought you had to buy it. Not kidding. When I met my husband he would frequently rave about his mom’s homemade bread; at first I felt inadequate, but I eventually got to the point where I made it clear that fresh baked bread would never be coming out of my oven. Ever. But one day about 4 years into our marriage I was at my mother-in-law’s house when she announced that she would be making bread. I decided I would watch, and as I watched I realized this was something I could do; it wasn’t that hard. So I went home and tried it, and while it didn’t look nearly as pretty as hers did, it actually turned out well. Now, I make about 90% of the bread we eat in our house myself. And it is so good. And seriously, if I can do it, I know you can. I start by letting my tap water get as hot as possible. Like too hot to put my hand under. 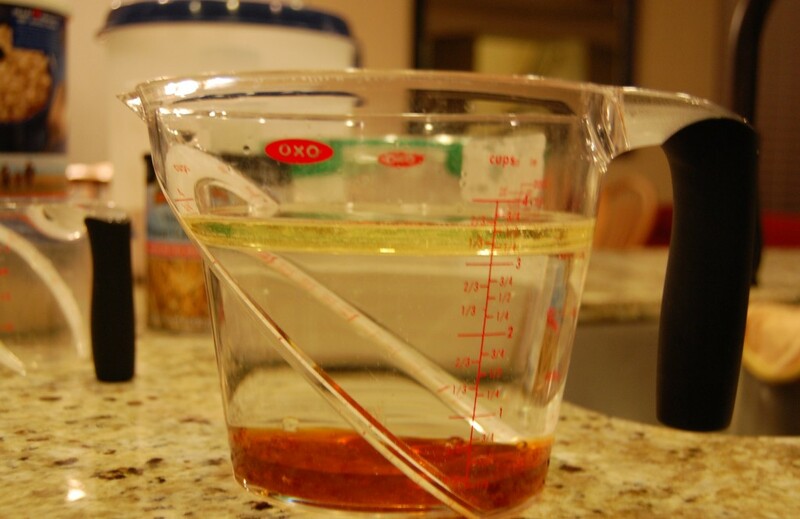 I add oil and honey to the hot water and then pour it all in my mixer at once. This method works best for me since the hot water helps to make the honey a little bit runnier; it all comes out quickly instead of me having to wait while the honey drains into my mixer. 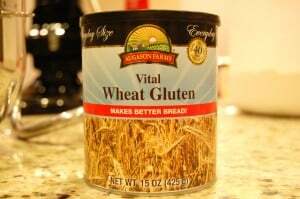 Once that’s in, I add the salt, yeast, oats, gluten (if you don’t have gluten you can omit it, but be aware that your bread will be a lot crumblier), and wheat flour. I mix it on low until it’s well blended and then turn it to a medium speed for about 4 minutes. At this point it’s still pretty wet. Next I add the white flour and turn my mixer back on low until it’s well blended. 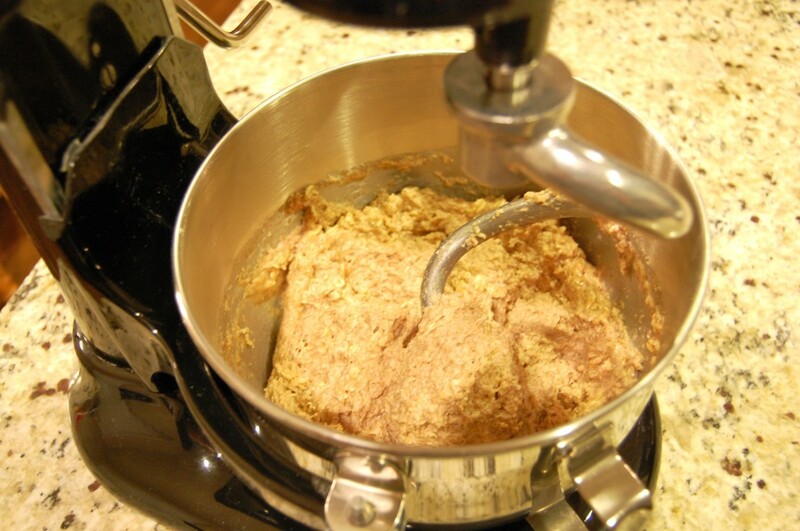 I sometimes add more white flour if it’s still too sticky once it’s blended. You’ll know it’s ready when it barely sticks to your finger and will fall out of the mixer and off of the dough hook without sticking very much. I dump it onto my baking mat (or floured counter) and knead it by hand for about 2 minutes; then let it rise until it doubles in size. How long to let it rise varies every single time I make bread. Today it took 45 minutes, but you’ll have to keep an eye on it. Once it’s doubled in size I cut it in half and shape the halves into loaves. I put them into greased loaf pans and then let them rise again. When they go into the pans the dough should be under the lip of the pan; let them rise until they’re just above the lip. 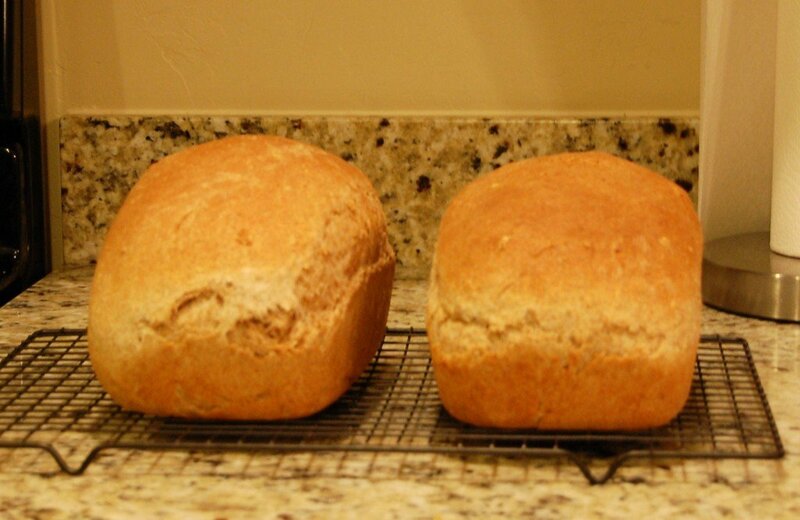 You don’t have to wait nearly as long to let the loaves rise in the pans; about 15 minutes generally. I preheat the oven while they are rising. Once they’ve risen enough they go into the oven for 45 minutes. Your house will smell amazing while it’s baking; it’s one of my favorite smells. Once they’re done I remove them from the pan and let them cool on wire racks. My husband likes the bread best warm, but it’s good all the time. 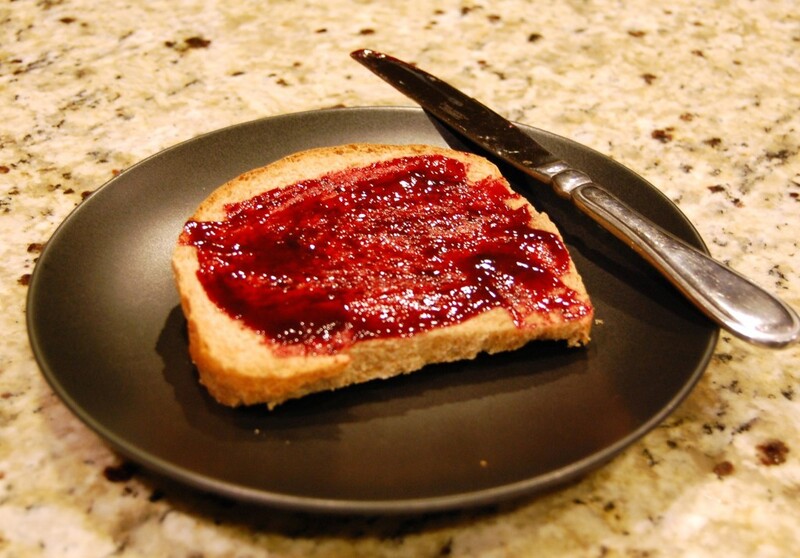 We like to add jam, butter, honey, and we use it for sandwiches. This recipe can easily be doubled and the bread freezes well. 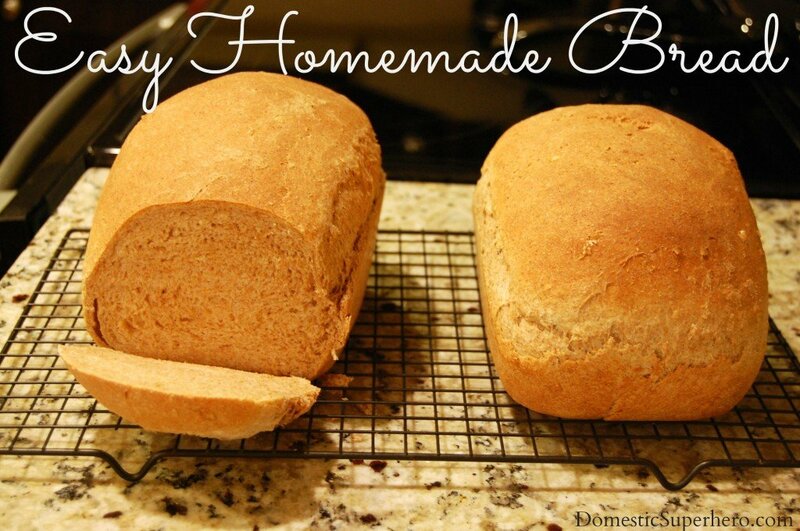 I tend to make a double batch (so 4 loaves) and use it for the month. 1. 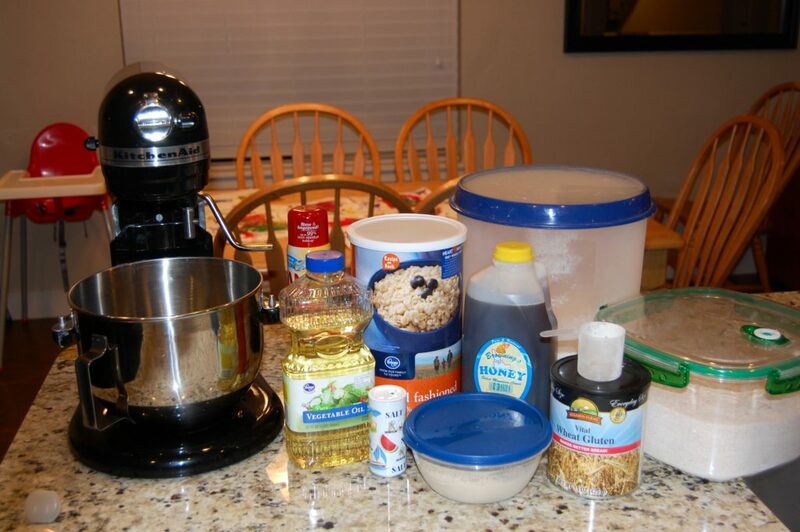 Add water, oil, honey, salt, yeast, oats, gluten, and wheat flour to mixer. Mix on low speed until well blended, then mix on medium speed for another 4 minutes. 2. 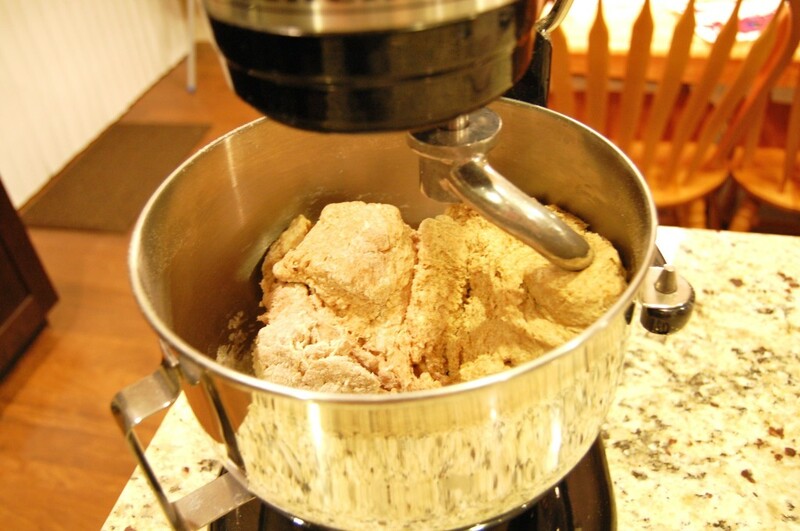 Add white flour and mix on low speed until blended. 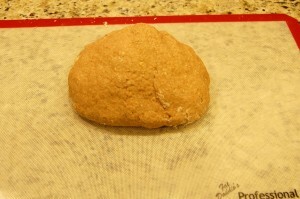 If it’s too sticky add more white flour by ¼ C increments until the dough barely sticks to your finger. 3. 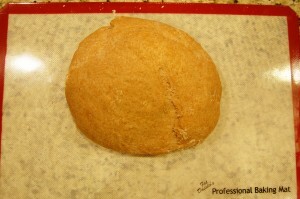 Dump dough onto floured counter and knead by hand for 2 minutes. 4. Let the dough rise until it’s doubled in size. 5. 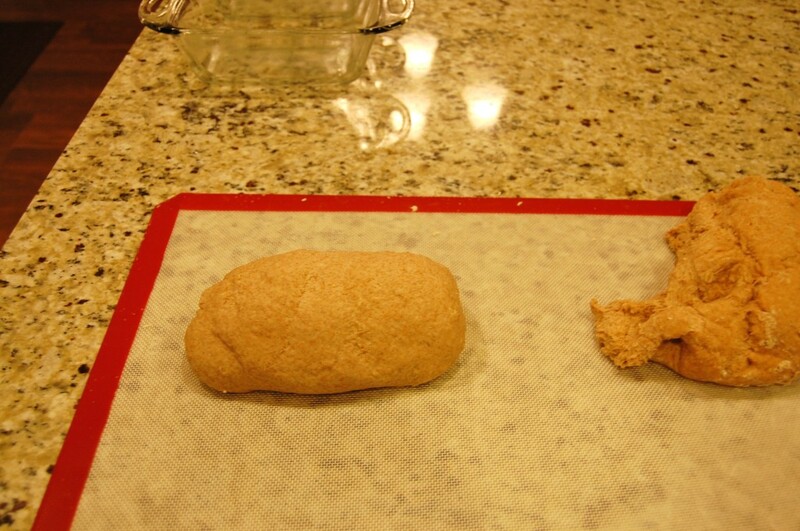 Cut the dough in half and form loaves out of halves. 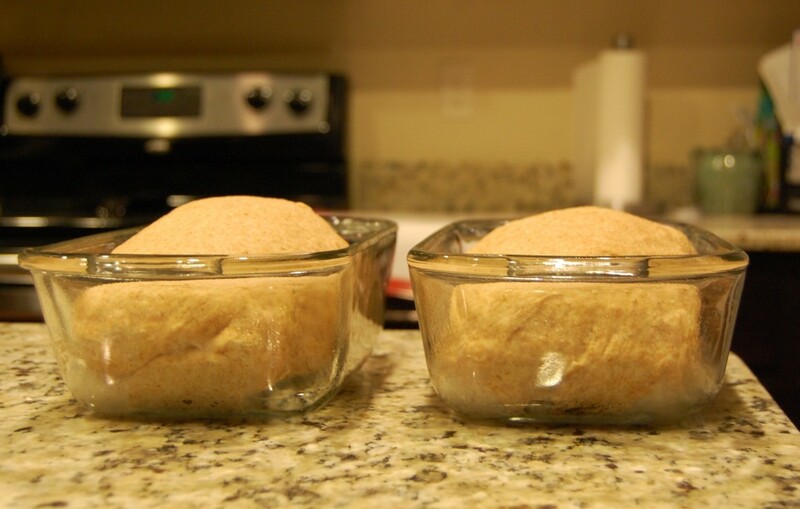 Place loaves into greased loaf pans and preheat the oven. 6. Let the dough rise until it’s just over the lip of the pans. 7. Bake at 350* for 45 minutes. 8. Remove from pans to cool on wire racks. EAT! 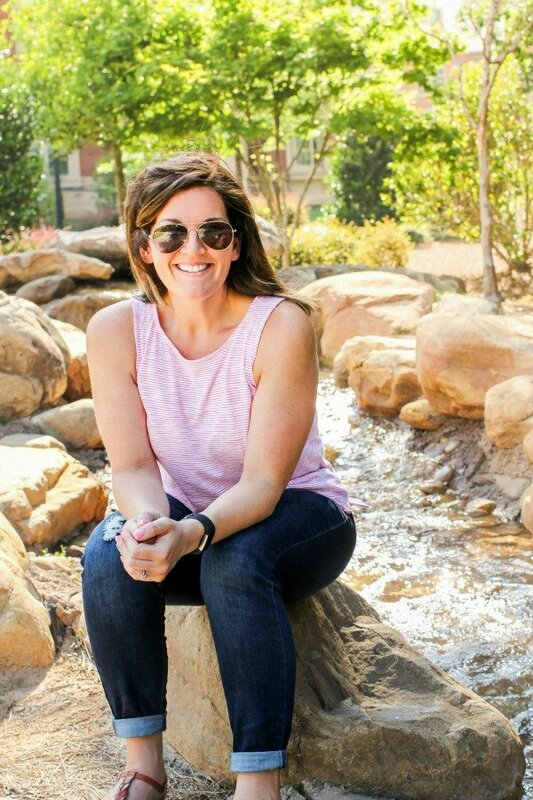 Thank you so much, Joy, for writing this awesome guest post for Domestic Superhero! I can’t wait to try this recipe out! Yay! I love new bread recipes and this one sounds taaaaasty! This does sound soo easy!